Is there a parts swap/sale going on for Ouray 2018? That guy... Jerry usually has a pile of stuff. When I take stuff up, most of it is already spoke for. You could start by listing stuff you have. Member Derf had one going or add to this thread and see what happens. Got a few things I could bring down to Ouray if anyone is interested. Message me an offer. Evil Twin fab tire carrier. Used for a very short time. 2 pairs of bjs front lift shackles used for maybe a few thousand miles. Both pairs look pretty much new if cleaned. Crossover narrow track steering kit from bjs with the beefy drag link with moog problem solver joints. Used for maybe a few thousand miles. Last edited by SparkyB on Mon Jul 02, 2018 2:50 pm, edited 1 time in total. I have an aux tank that mounts in the spare tire area. Can't remember the capacity offhand, seems like it was 18 gal? Smittybilt roll cage for Cherokee. I guess it could be used for Wagoneer too but not sure if it'd cut into rear door entry? I will spend tomorrow looking through my stuff. Off hand I have a pair of Cherokee Wide-Track offset quadratrac rear Dana 44 axle shafts, a set of NOS rear wagoneer speaker brackets that go in the rear cargo area for the 5.25-inch speakers, I will see what else. I have a box of stuff to bring up. I just built 10 sets of Hand Grabs, if you would like a set brought to Ouray I'll give a discount $35 unwrapped $40 wrapped. Just let me know. Can you do a dual color wrap? 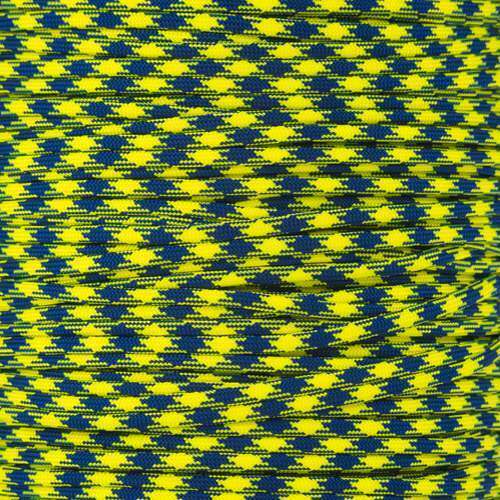 Something close to navy blue and yellow? That'll work. I'll take one set please. Anyone need the set of Cherokee rear wide-track dana 44 axle shafts? They are straight, straight splines, and offset for the quadratrac. Don't wanna toss them in if not needed. I got two sets so I can let one go. I've got two Jeep's I'm parting out now, plus my usual parts inventory. Let me know what you need and I'll bring it to Ouray. Anyone got a J-truck tailgate? J-10 or J-20, I am looking for one. Let me know if someone has one and can bring it to Ouray. Thanks! Anyone looking for : Jeep NP 208, 80-83 WT axles, alternator, starter, 86+ instrument cluster, 86+ HVAC control, or anything else? I'd be interested in the 86+ instrument cluster. Anyone want a load leveling factory hitch for GW? 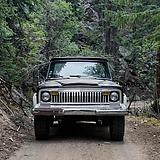 78 Arizona Chief wrote: Anyone got a J-truck tailgate? J-10 or J-20, I am looking for one. Let me know if someone has one and can bring it to Ouray. Thanks! SparkyB wrote: Got a few things I could bring down to Ouray if anyone is interested. Message me an offer. Crossover steering kit from bjs with the beefy drag link with moog problem solver joints. Used for maybe a few thousand miles. Hey is that crossover steering wide track or narrow track? How much you want for it? Anything you need?